I heart unicorns and you will too with this colorful deck of multi image playing cards. This fun deck features one of the world's favorite mystical creatures, the Unicorn, and all its splendor. 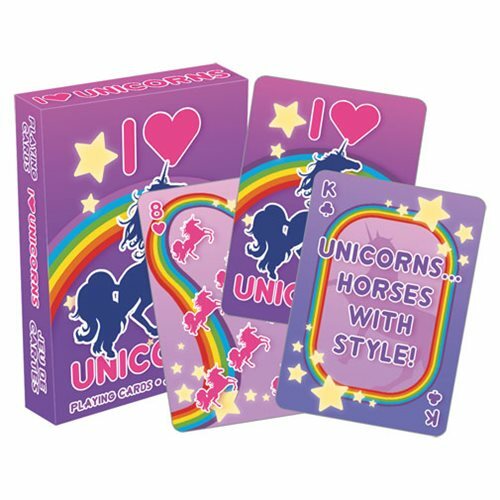 Measuring approximately 2 1/2-inches x 3 1/2-inches with a linen type finish, these I Heart Unicorns Playing Cards will be perfect for your next poker night!